It has taken over 3 long years but today we have our first result! At long last and after campaigning by Hereford Voice we can now all enjoy hot food until 3am at weekends! And 4.30am on Bank Holiday weekends (except Bank Holiday Monday) I spoke with Tony from the Golden Galleon sometime ago informing him that late night food applications are being relaxed and now was a good time to apply for extended hours, he did just that.. 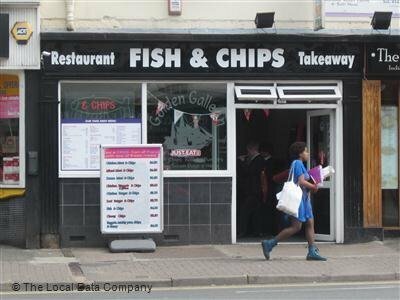 I am pleased to confirm that this afternoon Herefordshire Council's Regulatory Sub Committee met and considered an application from the Golden Galleon in Commercial Road to serve hot food late at night. The case was heard and debated at length. After careful consideration the committee agreed to vary their premises licence to permit the sale of hot food as late as 03:00 and 04:30 on bank holidays. I hope this keeps everyone in the loop and allays any fears that Hereford is resisting such a change. The police will no doubt keep an eye on the situation in the city centre and the Council will of course have to respond to any applications to review this licence should the late night sale lead to public nuisance or crime & disorder. However, let's hope it doesn't come to that and that everyone can enjoy their long awaited hot chips..! Absolute result this is very good to hear. At last the council make a move into the 21st century. Good result all around and well done HV and members for keeping the discussions alive, I am sure this has played a major part. At long last and after campaigning by Hereford Voice we can now all enjoy hot food until 3am everyday and until 4.30am weekends! The original application was for a 04.30 finish every night. Presumably to totally cater for all the potential customers sliding out of the late drinking holes. In reality, however the compromise was thrashed out, they've dragged out of the Council a 03.00 finish every night including weekends except for a 04.30 concession on Bank Holiday weekends. Which is very much along the lines of what Jim Mooney had written about. An improvement but the shackles are still on in my view. Far from taking a leap into the 21st Century The Council have begrudgingly had a fudge dragged out of them. Why couldn't the chippie have a 04.30 finish every night? If any wheel fell off the wagon then they could be taken back for a review? The other week I was quite happily munching some early hours food in the 24 hour Maccies in Shrewsbury Town Centre. Their locals seem to be coping with that and it's not even a city! I totally agree. From my understanding weekend opening is until 0430 and bank holiday weekends but not including bank holiday Monday. So in theory they could be open until 0430 today and tomorrow. I don't believe this was agreed with you in mind AV, this is more for the youngsters coming out of the clubs with hungry bellies after a few beers, that is when the munchies kick in from memory. About time this city got with it. So in theory they could be open until 0430 today and tomorrow. Nope. If you leave Play when it chucks out tonight or tomorrow you will have to trudge for that cold sarnie from the garage chiller again. I have just spoken with Tony and he is starting next weekend, Friday & Saturday until 3am. How does he feel about the compromise? Which one? lol we always sort of knew they would only get until 3am in the week but he is more than happy at the moment. Great news. Long gone are my days of visiting "Hash Browns" cafe in Plymouth at 0430hrs for a greasy fry up to sober up! Just what Hereford needs. Let's just hope that Tony is not jeopardised by some clowns scrapping on the meadows at 5am with chips in hand! That'll be enough evidence to ensure his license is revoked, never mind the fact that they came to blows over their respective boyfriends anyway! Thank you Tony for feeding us all, when nobody else will. I never agreed to the restricted opening hours of food outlets. Its the people intoxicated where the blame should be laid, also the police should have more control of the situation. Yes and they closed his hot dog van down if my memory is good? I would grab a nice burger or hot dog on my way home during the early hours. Good on the Golden Galleon for submitting their application, I hope now others will follow. the council would have a hard job to refuse other applications now, as they have set a president with the Golden Galleon. "Let's just hope that Tony is not jeopardised by some clowns scrapping on the meadows at 5am with chips in hand! That'll be enough evidence to ensure his license is revoked"
How this would be the fault of the restaurant owner is beyond me but it is an 'excuse' and an excuse maybe all that the Council seek in such events. Dead right! the council doesn't need any help to find an excuse, as I said in a previous post they are a law unto themselves. Having sat on the Regulatory committee for 8 years I was amazed what they let some people get away with, they took no notice of the police objections to their decisions, while other lost their licence, unfortunately most of the committee were Tories so they had the last word even if other members didn't agree with their decision. Yes I hold the same view, as long as they meet the criteria then why can they not stay open until 4.30am everyday? (not that they would but on principle) I am not sure this is down to the Police Roger this could of come from the Council, which is what I suspect. Yes I hold the same view, as long as they meet the criteria then why can they not stay open until 4.30am everyday? My perception is that the cops have probably got a policy to generally have more night staff on for Bank Holiday weekends. Hence the chip shop being guided into amending their application to fit in with what the Police think they can deal with. Which doesn't appear to include weekdays or regular weekends. There was evidence in 2013 of Jim Mooney arguing against a Play Nightclub hours extension on the basis that if it was granted then the Police would 'struggle to cope'. Similar sort of situation. My lad came home with some late food last night and was well chuffed, so was I because he is normally cooking at 3am. The resolution is two bouncers between 1.30 AM and 3 AM on Fri/Sat basically. Plus an hourly litter pick.